Vibration is the mechanical oscillation of a machine or object about an axis. Measuring vibration, acceleration, and acoustic signals is crucial in a variety of industries. Vibration measurements and trends can be used as an indication of machine health, and accurately measuring vibration using an accelerometer or other vibration sensor can help predict machine failure and schedule maintenance. 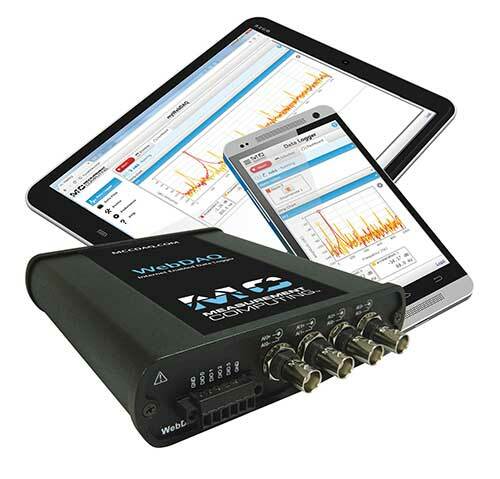 Measurement Computing offers solutions to directly measure IEPE-type vibration sensors, accelerometers or voltage inputs with no added signal conditioning using USB and Ethernet data acquisition (DAQ) devices. Internet Enabled Vibration-Acoustic Data Logger with 4 IEPE inputs, simultaneous sampling, 24-bit resolution and 4 digital I/O. USB dynamic signal analyzers with four 24-bit IEPE sensor inputs, up to 105.4 kS/s per channel sample rate, one tachometer input, one 24-bit analog output, and expansion-ready. 95 db Typ. -104 dB Typ. 110 dB Typ. USB dynamic signal analyzers with up to three simultaneous 24-bit IEPE sensor inputs, up to 216 kS/s per channel sample rate, up to 2 analog outputs, and 8 digital I/O. 91 db Typ. -96 dB Typ. 104 dB Typ. 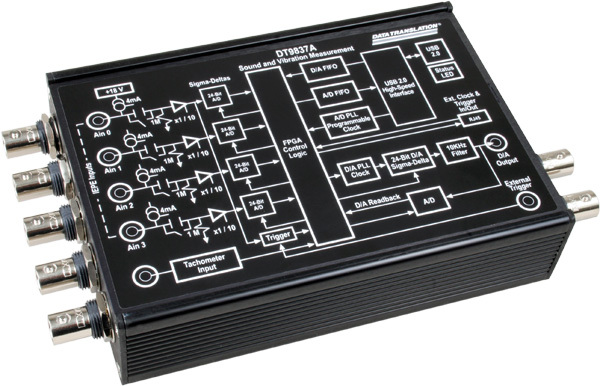 USB dynamic signal analyzers with 8 or 16 IEPE sensor inputs, 24-bit resolution, up to 105.4 kS/s sample rate per channel, two 32-bit analog outputs, 16 digital I/O, and one tachometer input. 94 db Typ. -110 dB Typ. 118 dB Typ. 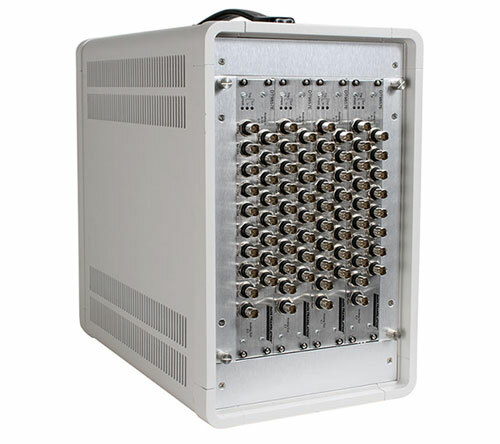 Ethernet dynamic signal analyzer with four simultaneous 24-bit analog inputs, four IEPE sensor inputs with a 4 mA current source, up to 52.7 kS/s/ch sample rate, one tachometer input, one 24-bit analog output, and support for synchronous expansion. 88 db Typ. -108 dB Typ. 95 dB Typ. Dynamic signal analyzer system with up to four DT9857E devices that provide 64 IEPE sensor inputs, up to 105.4 kS/s per channel sample rate, eight analog outputs, 64 digital I/O, eight counters, four counter/timers, and four tachometers.